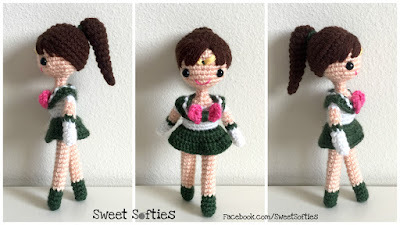 The Sailor Jupiter Pattern provides instructions for crocheting a detailed Sailor Jupiter doll in her green schoolgirl outfit! She makes for a lovely gift for any Sailor Jupiter fan. 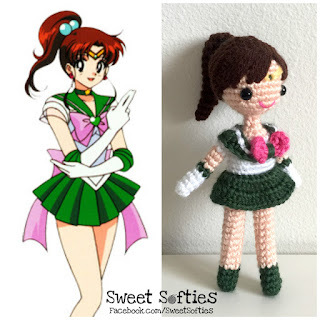 There she is, side-by-side with her drawn, anime counterpart! You can also use this pattern as a base to create the other Sailor Moon characters by using different yarn colors.